The Ridge Retreat at Mollymook is the perfect couples retreat on the NSW South Coast. Purpose built with three luxury guest suites, the B&B offers privacy and seclusion to the discerning traveller. The Ridge Retreat at Mollymook, combines the best of both worlds situated amongst native bushland and moments to Mollymook beach on the pristine NSW South Coast. 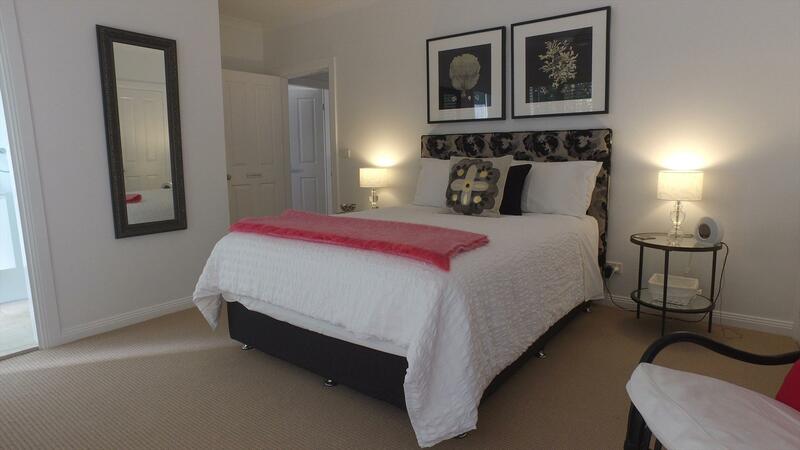 This purpose built luxury South Coast bed & breakfast offers guests the choice of three private guest rooms, each uniquely and elegantly furnished with spacious ensuite. The Eucalypt and Tree Fern Rooms open onto the main shared balcony overlooking the swimming pool and the eucalypt forest beyond. 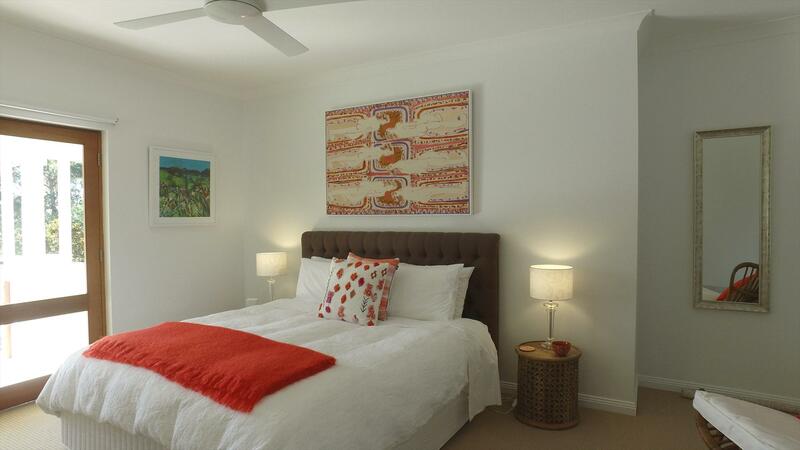 The Courtyard room features a private sun filled courtyard and eucalypt forest vista. Enjoy daily continental and cooked breakfast served in the formal lounge room or on the sun drenched poolside terrace by your hosts Paul and Libby. Relax in the guest lounge at your leisure and enjoy an evening glass of wine by the open wood fireplace. Enjoy the large 18m infinity edge outdoor heated swimming pool with leafy, tranquil outlook. You're spoiled for choice in Mollymook, with the beach just moments away. Visit nearby Milton with its main street of boutiques, homeware stores, cafes and restaurants. Enjoy cellar door tastings at local wineries such as Cupitt's Winery and explore the Shoalhaven Coast wine region. Wander the local growers and farmers markets and enjoy a leisurely South Coast holiday. 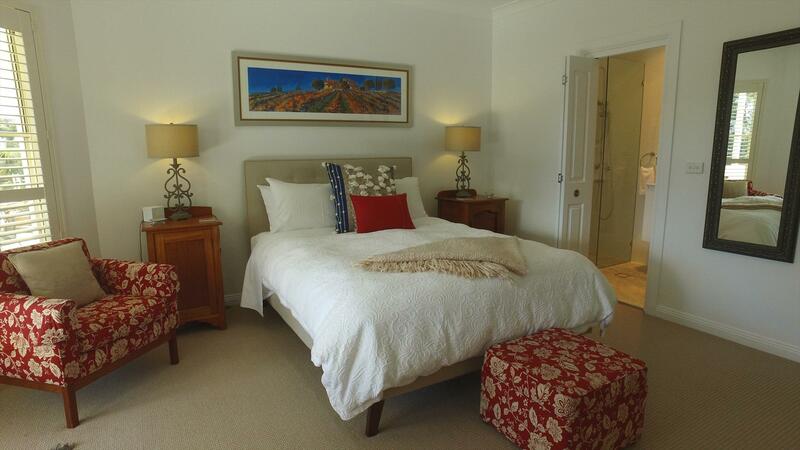 The Ridge Retreat B&B is the perfect South Coast couples escape. Travelling south through the Milton township approximately 2 km past the traffic lights turn left into Bishop Drive which is the next turn just after the garden centre and a sign to Hilltop Golf Course. After 200 metres turn left onto the road that has a sign displaying the Ridge Retreat at Mollymook. We are the 2nd house on the right. In the event of a cancellation 50% is non-refundable unless we are able to re-book the property. In the event of cancellation of the booking or part thereof less than 30 days prior to your arrival date there will be no refund however we will be happy to apply the payment to another suitable date. You are responsible for breakages damage theft and loss to the property as well as any damage caused by misuse of the room. Please report these to management. Please note that we do not cater for any children in our accommodation.